A reminder about the event at Hfd Leisure Pool this Saturday December 7th 2 until 4.30pm. 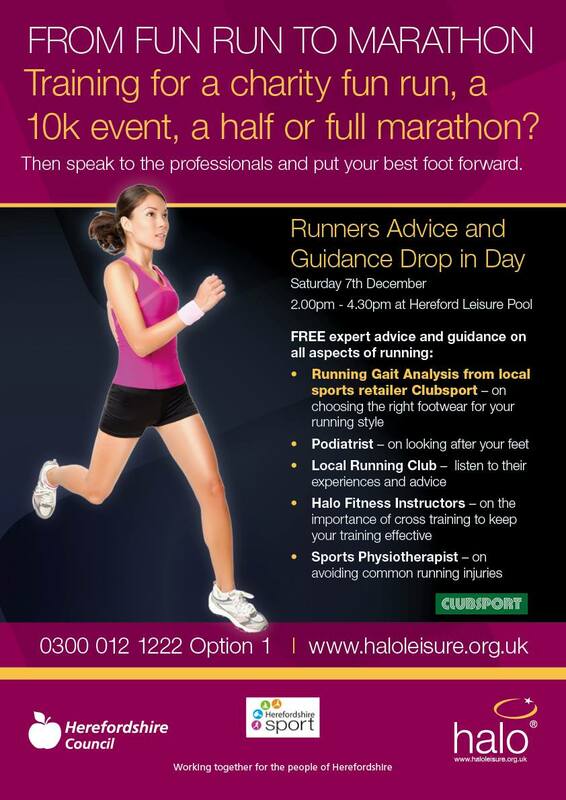 Halo Leisure are looking to provide advice and support to runners looking to do a range of events from a Charity fun run to a full marathon. Wye Valley Runners have been invited to share our running expertise. Club Sports will also be available to do a running gait analysis. Please let a committee member know if you are able to help on the day.